But is there really such as thing as a high-definition light bulb? GE has appropriated the phrase “high definition” from the TV industry and applied it to a new line of dumb LED bulbs. 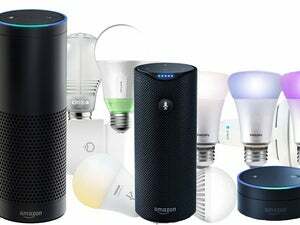 The word “dumb” isn’t meant to be derogatory here, it’s just that these bulbs don’t have the electronic components that would enable them to be directly controlled by a smart home hub or a smart phone. Pair them with a smart switch and you’ll be in business. Color Rendering Index is a real thing, and it’s defined by a measurement that describes the spread of the spectrum of the light source. This is a separate measurement from color temperature, which most bulb shoppers understand well. You can think of color temperature as a goal, and CRI as a measure of how closely the light comes to meeting that goal. High-CRI lights minimize spikes outside of the wavelength of light they’re supposed to be emitting, while low-CRI lights emit more light all across the spectrum. CRI is rarely denoted in consumer lighting products, though sometimes it is described in spec boxes by the term “color accuracy,” which is a consumer-friendly name for a CRI measurement that maxes out at 100. Incandescent and halogen bulbs have great CRI, in the high 90s–which is why rooms look so nice under their light. Typical LED bulbs, on the other hand, tend to have CRI around 80, which is why they often look so unimpressive. So: GE’s HD bulbs have a higher CRI. How much higher? The bulbs don’t say on the packages, but a GE rep says the bulbs score “high 80s to 90.” It’s ultimately up to your eye to decide just how HD these HD bulbs are. 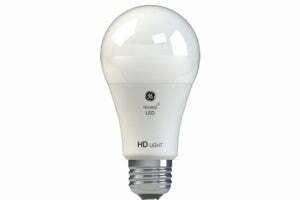 GE’s HD bulbs come in three flavors, each of which is a 60-watt equivalent. 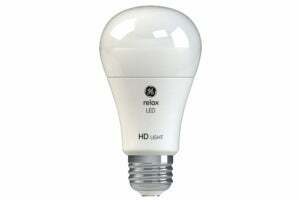 Relax is a warm bulb tuned to 2700K and emitting 800 lumens. It is designed for bedrooms, dining-, and living-room situations where you want those soft, orange-hued tones. The GE Refresh HD emits a much cooler light. 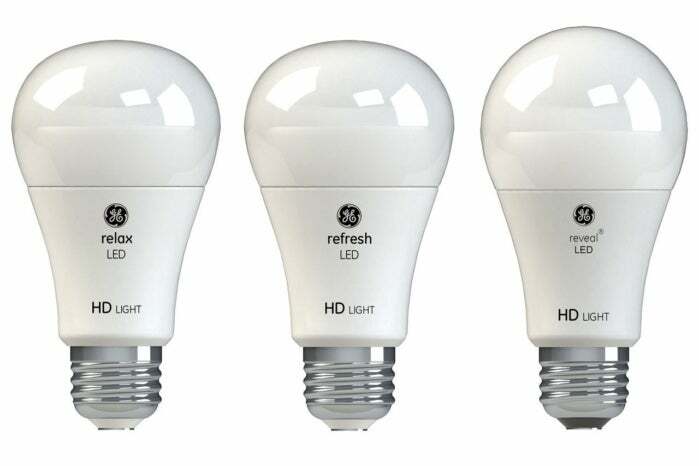 Refresh is the cool bulb. Tuned to 5000K, it also emits 800 lumens. As expected, it is geared toward laundry rooms, the garage, and the home office; places where you want bright and “energizing” light that approximates daylight. Each of the bulbs boasts a 15,000-hour lifespan and carries a five-year limited warranty. The physical form factor is identical for Relax and Refresh—both looking like slightly-squished versions of standard incandescents. Reveal is just a bit larger and more rounded, like a standard incandescent. As for the quality of the light, there’s no denying that GE knows what it’s doing. It’s difficult to accurately describe higher-CRI vs. lower-CRI light, but compared to other LEDs at the same color temperature, I found both Relax and Reveal to be prettier and simply more appealing to the eye. I was particularly drawn to the Relax bulb. The 150K difference may sound small, but it makes a difference, with Reveal offering clearly whiter color. The lower brightness is also evident, and while it works fine in the bathroom, in a larger kitchen it simply might not offer enough light. Refresh is indeed incredibly cool, its blue-tinted brightness making you feel like you just stepped into a Wal-Mart. It’s hard to feel comfortable in light at this temperature, and perhaps that’s the point. The laundry room and garage are designed for completing specific technical tasks, after which the light gets turned off. I found it a harder sell in a home-office environment, with its light more anxiety-creating than energizing. We're much less-enthused about the GE Reveal HD. That said, from top to bottom these lights are stellar, with light hues both crisp and pure. They’re perhaps not quite as clean as an incandescent, but notably better than bottom-shelf LED bulbs. As well, I had no trouble using any of the bulbs on a wired dimmer switch, though the overall range of levels from brightest to dimmest wasn’t very much. 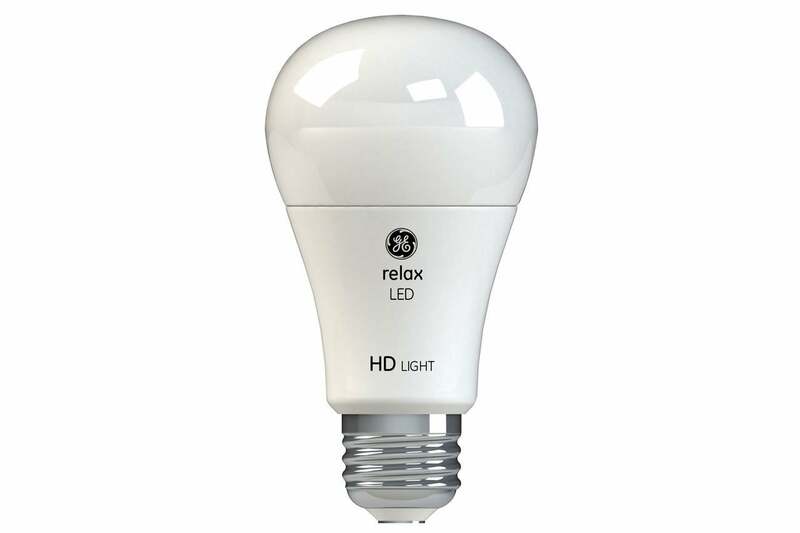 GE’s press materials quote a suggested retail price of $4 to $5 each, with the bulbs sold in two-packs, but you’ll save a bundle buying the Relax bulbs in eight-packs for about $21 on Amazon. Street prices for Reveal, for whatever reason, are considerably higher. None of the GE HD line can compete with fluorescents on price, but if you’re upgrading your home to “dumb” LED bulbs, Relax and Refresh should merit strong consideration. Correction: This article was updated on June 20 to remove a reference to neodymium being used in the manufacturing process. 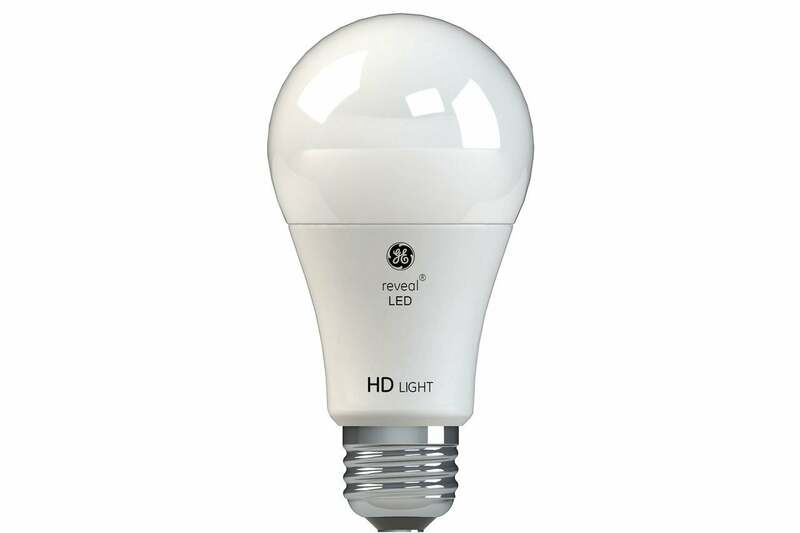 The go-to bulb in the GE HD collection, offering soft, warm, and crystal-clear light quality. If you’re looking for a cool temperature bulb, Refresh offers crisp, blue light at a reasonable price. Lower light output and a much higher price limit the GE Reveal HD's appeal.